Jeri Weil from "Leave It To Beaver".She played Judy Hensler. Jeri Warner Weil (born May 15, 1948, in California), billed professionally as Jeri Weil, is an American former child actress, best known for her role as Judy Hensler in the classic television series Leave It to Beaver.Prior to being cast on Leave It to Beaver, Weil had appeared in two TV series and six films in uncredited roles. Among the films she appeared in was The Eddie Cantor Story as one of Cantor's daughters. The role of Judy Hensler cast her as a classmate and nemesis of Theodore ... See More Cleaver ("The Beaver"). 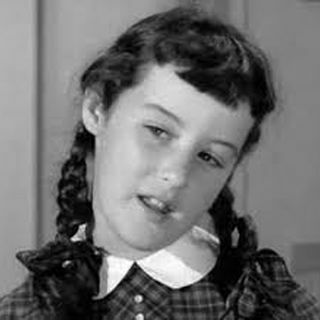 Including the show's pilot, Weil appeared in 31 of the 235 Leave It to Beaver episodes.Weil quit acting when she was dropped from Leave It to Beaver in October 1960. She is currently a writer as well as realtor with Prudential John Aaroe and Associates Realty in the Studio City area of Los Angeles.